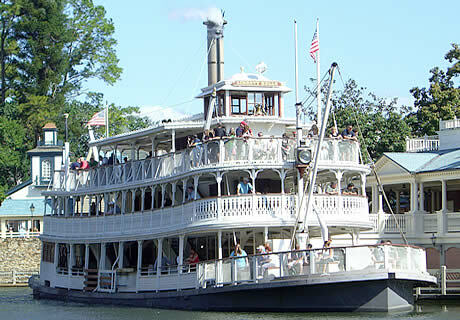 lochs, by river cruiser, passenger ferry, steamboat or paddle steamer in the UK, abroad in Europe and Worldwide. The Emeraude offers a regular cruise program aboard a luxurious replica steam boat; it offers 38 cabins designed to evoke the nostalgic charm of colonial Indochina. Discover Europe via its waterways, explore the rivers and canals of the UK and Europe and the lochs of Scotland at your own relaxed pace. Offering a huge choice of boating holidays and quality boat rentals including family boating holidays, motor cruisers and barges. For boating holidays in Ireland; Manor House Marine offers fully equipped cruiser hire on Lough Erne, the Shannon-Erne Waterway and the River Shannon, with one of the most modern fleets in Ireland. Experienced instructors provide tuition for first time hirers. A range of all-inclusive, hand picked European river cruises: Paris and the Seine, Bordeaux's Chateaux, capitals in the Danube, Holland and Lake Ijsselmeer, the Douro from Porto to Spain, Andalucia and Seville, the Rhone through Provence, and the Rhine Amsterdam to Basel. An inspiring collection of great-value cruises along famous rivers and waterways. Cruise the Moselle and Rhine, discover the Dutch and Belgian waterways, sail along the Danube, the German and French waterways, the Nile, the Rhine and her tributaries, the rivers of Russia and the Spanish and Portuguese waterways. For solo travellers there are 100s of single cabins available on selected dates with no single supplement. River cruise holidays in Europe, Russia and China. 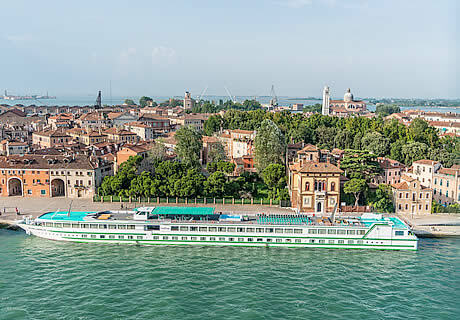 All-inclusive river cruise packages that include Titan's VIP door to door travel service, free regional connecting flights, check-in and porterage service porterage, scheduled direct flights with leading airlines, on-board meals, entertainment and activities. Mississippi round-trip river cruises aboard the Twilight Riverboat, a replica Victorian steamboat; a 2-day trip along the upper Mississippi departing from Le Claire and cruising to Dubuque for an overnight at the riverfront Grand Harbor Resort, returning the next day. Discover the lakelands and inland waterways of Ireland aboard a modern cruiser. Self-drive cruisers to discover 800+ km of navigable waterways, rivers and acres of lake to relax on. Luxury cruises on the largest group of freshwater lakes on Earth – Lakes Erie, Huron, Michigan, Ontario and Superior in E North America. Itineraries include popular Great Lakes vacation spots such as Niagara Falls and Thunder Bay. 4-8 day luxury European river cruises for the travelling vegan; 100% vegan cuisine, with even cocktails and cabin toiletries being vegan. Introducing Titan's new luxury river cruises – what could be better than a relaxing trip along great European and Worldwide waterways? Offering a special selection of the most luxurious of river cruise holidays. Discover a level of service unique to river cruise boats; relax in spacious well furnished en-suite cabins with fine river views; discover fascinating ports of call with escourted excursions included, enjoy fine dining prepared with local seasonal ingredients, relax with a book in the panoramic lounge with afternoon tea. Also Titan's VIP door-to-door travel service will transfer you, to and from, your home to the airport at the start and end of your holiday. Discover Europe's second largest river, flowing through some of Europe's most famous cities and beautiful countryside. The Danube (or Donau) passes through eleven countries and is packed with variety – it flows through four capital cities: Vienna, Bratislava, Budapest and Belgrade, the UNESCO cultural landscape of the Wachau Valley and the stunning Danube Delta. Saga have a extensive collection of over 40 Danube river cruises of all types and length, for travellers 50+. Their top Danube river cruises include: Prague and the Danube aboard Amadeus Royal Prague; Vienna and the Blue Danube; Contrasts of the Danube aboard Amadeus Royal and Historic Cities of Europe Budapest to Berlin aboard Amedeus Royal. The Travel-Quest river cruise holiday section is for lake, loch and river cruising holidays and vacations; listing cruise breaks, holidays and getaways on the world's major waterways, rivers, navigable lakes and large lochs. It includes weekends and short breaks as well as longer river cruise holiday packages and vacations. As with ocean cruising, this will be aboard craft that include on-board accommodation and which acts as a floating hotel – but it will tend to be in smaller ships, better able to navigate rivers and lakes and negotiate low bridges, locks and shallower waters. The style of boat ranges from modern cruisers to refurbished paddle steamers, steamboats, large barges or lake and river ferries designed specifically for carrying holiday passengers. Journeys will include famous Worldwide and European destinations, rivers such as the Thames and Severn in the UK, Nile river cruises in Egypt, cruises on the Italian lakes, the Danube to the Black Sea river cruises from Holland to Germany, the Douro in Spain and Portugal, the river Rhine through Holland, France, Germany and Switzerland and the Mississippi River and Great Lakes in North America. Seasonal river and lake cruises are another option and these will be listed in our themed cruise section, where you'll find options such as spring flower and tulip time itineraries sailing through the Netherlands and Belgium; wine cruises through France's vineyard regions; winter Christmas market cruises along rivers such as the Danube and Rhine; or dedicated Christmas/New Year river cruises that allow you to enjoy the festive season afloat. Canal and river cruise holidays aboard smaller barges and by canal narrowboat hotels are listed in a separate section. • Luxury accommodation that often takes you right into the heart of city centres and tourist sites. • A more intimate experience aboard ships that hold a modest average of around 150 passengers. • Well equipped, often luxury, accommodation with all mod-cons and panoramic views from plentiful cabin windows. • Point-to-point travel with a new destination every day, but without the need to keep packing and unpacking between stops! • All-inclusive packages are offered on most river cruise lines, that will include food and drink, on-board entertainments and guided excursions ashore. • Smaller, more eco-friendly ships that use a lot less fuel than ocean cruise liners. The travel-quest lake and river cruise holidays section lists trips cruising the world's rivers, lochs and lakes. See the definition at further up the page for more details.